Those who say psychology should be more like physics should read two recent articles and get their heads turned around: physics is becoming more like psychology. 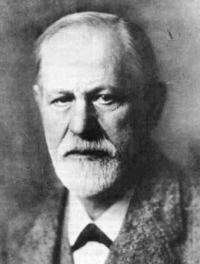 A new article about Freud in Prospect Magazine begins with a fundamental error: it suggests that Freud has been repudiated by psychology for refusing to flatter mankind. While his insistence that the psyche is neither a happy place nor amenable to reason may be out of step with contemporary culture – very out of step if you look at the self-help section in a book store – that has little or nothing to do with Freud’s reception by psychology. Instead, as Eugene Taylor has so ably documented, psychology was taken over by experimentalists with hard science envy. Freud was repudiated not because his philosophical ideas were out-of-step, but because he had philosophical ideas at all. By the end of the 20th century, mainstream psychology had jettisoned everything that wasn’t provable with computer modeling under laboratory conditions. A fascinating article in The Atlantic points out that the same thing happened to physics, the hardest of the hard sciences … which also underwent revolutionary transformations during Freud’s lifetime. The result, according to philosopher of science Tim Maudlin, a founder of the new “philosophy of cosmology,” is that physics has stopped asking “foundational” questions and focused almost exclusively on the collection of laboratory data and the refinement of mathematical models. Exactly the state psychology is in. Again, very much like contemporary psychology. The experimentalists and the drug companies may refuse to talk about the nature of the psyche and the subjective experience of being human, but those issues aren’t going anywhere. It’s why existential and humanistic psychology are growing more influential at a time when pharmaceutical options have never been cheaper and more plentiful. The difference is that psychology never separated quite as far from its own soul. The keepers of the foundational questions in physics are “philosophers of sciences” – they belong to a whole different discipline. Humanistic and existential psychologists, on the other hand, are still psychologists. They have divisions at the APA, a place in the professional literature, and for all that they might argue with some of the requirements for licensure are still routinely licensed to practice. Indeed, they are undoubtedly better represented among clinicians … those who actively “do psychology” … than they are among the experimentalists. The soul of psychology certainly isn’t going away – it’s exactly what people look to psychology for in the first place. The idea that it would was based on the notion that the hard sciences had successfully left their foundational questions behind. It turns out that even the hardest of hard sciences can’t stick with mathematical modeling and datasets: banishing foundational questions to a whole different field puts them off site but not out of mind. But eventually the hard sciences rediscover what psychology refused to give up. In the 21st century, physics has many great minds but it’s still looking for its Freud.